Photo courtesy of Brooklyn Mom & Pop. From time to time, our favorite map makers over at Herb Lester Associates unveil a new, quirky, pocket-sized gem to beloved cities around the world (like a walking guide to scandal and vice in Filthy London, or a Velvet Underground-themed map of New York). 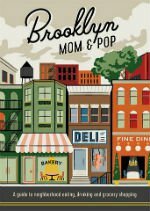 For their latest mini guidebook, Brooklyn Mom & Pop, the indie English publisher tapped New York book authors Jon Hammer and Karen McBurnie to do the fun work of scouring Brooklyn in search of old, unusual, beloved businesses that make the borough tick. Fathom editorial director and Brooklyn resident Jeralyn Gerba had a few questions for the duo, who also agreed to let us reprint an excerpt from the Cobble Hill neighborhood section of the book. 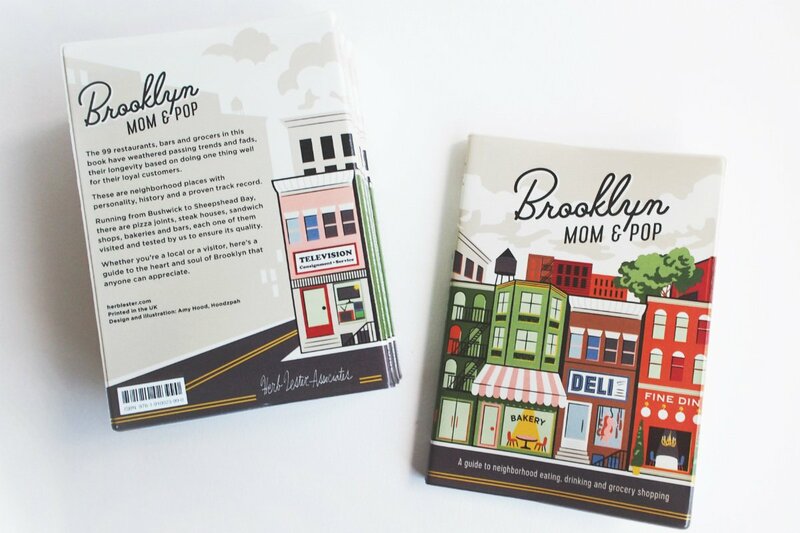 Brooklyn Mom & Pop is a pocket guidebook to the borough’s oldest and most prized neighborhood gathering places for eating, drinking, and buying groceries. From Greenpoint to Red Hook to Sheepshead Bay, the book makes 99 recommendations that cover the plethora of real-deal neighborhood joints of yesteryear — doughnut shops, Italian pork stores, soda fountains, dive bars, Kosher delis. What was the selection process like for this guidebook? We lived in Brooklyn for about a decade. Although we are now in Queens, we have the subway, and there’s always friends to visit and expeditions to undertake around New York City. We started with a ton of our favorites, then we hit up our friends for their neighborhood tips. Once we got a lead, we had fun just following our noses. There are a few places we stumbled on that even surprised our know-it-all friends. We really wanted the book to be as useful to New Yorkers as to tourists. How many places did you start with and how did you narrow down the list? Was there an age minimum, so to speak, for the venues listed here? I think we started with about 100 places and the list expanded and contracted as we continued to research in the field. Our target age for places was a minimum of 30 years old. A bunch are much older. Age turned out to be less important than the mom and pop spirit — the connection to its customers from down the block. Is there anything that didn't make the cut that you loved? The stuff we had to leave out are all the recent immigrant mom and pop spots. Because of the vintage time frame, you’ll notice the glaring omission of many of the newest arrivals who are a vibrant presence in today’s Brooklyn, for example, those from the former Soviet Union, Asia, and Mexico. I live in Clinton Hill, one block from Mike's Diner. I was excited to see that listed. It's a real old-school spot, and I think it makes the neighborhood. Wow! That’s the perfect reaction. The goal was to find places that the locals look at as an anchor. Of course, there’s a danger in describing people’s loved ones. Emotions run high and a fan of a particular shop may tell you that you ordered all wrong. In the end, we loved everything in this collection, and we hope it shows. Meet you at Mike’s?